Since most Kists practice Islam (and a small number – Christianity), Arabic names are quite popular among them. My name means in Arabic ‘Fair’ or ‘Just.’ For this reason and to speak the lingua franca of the Middle East, I wanted to learn Arabic. However, those who study international relations at Moscow State Institute of International Relations (MGIMO) and receive full scholarship do not choose their language and region of studies. A day before my classes started I found out that I had been assigned to the Persian (Farsi) group, to learn the language spoken in Iran, Afghanistan, and Tajikistan. 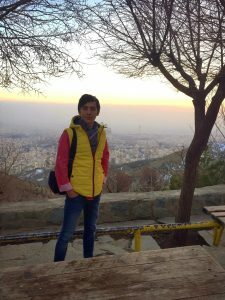 My most fascinating language experience was a trip to Iran. Allameh Tabatabaee University organized a language school for a group of Russian students, and we spent two weeks in Tehran. Since I looked and sounded native, I could buy cheaper museum tickets and pay as an Iranian student. However, there was a funny story as well. 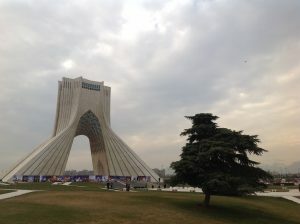 One time I entered an Armenian church and started talking to a person in charge, he immediately told me to leave the place because he could hardly believe I was a foreigner – Iranian Muslims are prohibited by law from going to religious sites which belong to other denominations. The more I studied Iran, the more interested I became in its nuclear program, and later – in nonproliferation of weapons of mass destruction and global security. 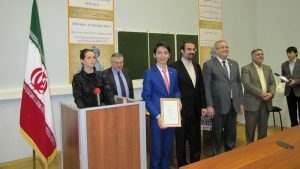 Right after my graduation I joined a new dual degree program launched by MIIS, MGIMO and the PIR Center, a prominent Russian think tank that initiated the program. I was happy to continue learning Persian as a non-regular language here in Monterey, and I do enjoy my classes. I believe learning a foreign language helps to develop empathy and flexibility. It requires a lot of effort to listen and to understand, as well as makes one look at things from various perspectives and reshape the framework of perception of the world. Whether I join a think tank or Foreign Service in the future, these skills will always be of utmost importance.